We received quite a number of similar complaints from our users and thought it is about times we addressed this issue. If your iPhone contacts are missing, keep reading as we will share with you reasons why you lost all contacts on your iPhone and how to get them back. Failed iOS update or downgrade. The outage of the Apple iOS. Wrong settings under contacts accounts. According to the situations, we have collected all the possible fixes in the next chapter. It is also likely that the loss of your contacts is due to the wrong iCloud setting. 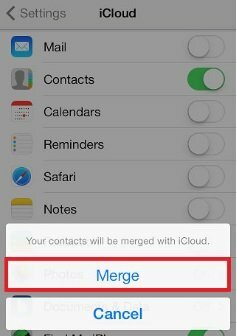 If you have turned on “Contacts” in iCloud, your iPhone contacts will be stored in iCloud. If at any time you turn this “Contacts” option in iCloud off, the contacts will disappear from the device. 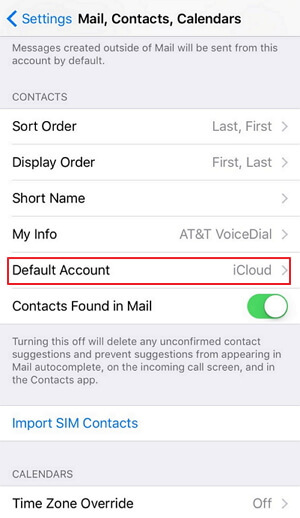 If you had enabled “Contacts” in iCloud, you may want to check that you did not accidentally turn off this option. To do that, go to Settings > iCloud > Contacts and turn it on if it is off. If the option is turned on but the contacts don’t appear, turn it off and then on to trigger a re-sync. Your contacts should be back on your device in a few minutes. According to the Sperl's answer in Apple Communities, it is also likely that you could simply have the wrong contacts account setting. Check under “Settings > Contact > Default Account or go to Settings > Passwords & Accounts > The Accounts you store your contacts and make sure that all your contacts from all your preferred accounts appear. For example, if you only turn on iCloud accounts when you have contacts in both iCloud and Outlook, you may be missing contacts from Outlook. 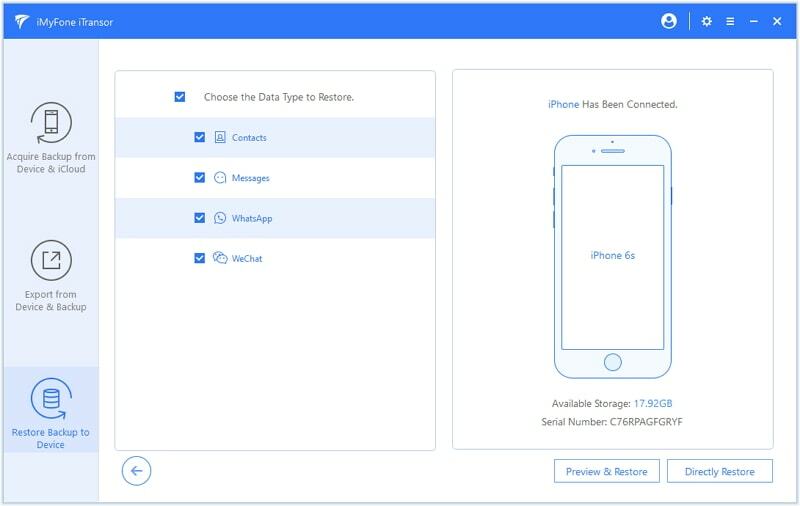 If you did not enable iCloud contacts and you are certain that you have lost the contacts on your device, you may need a third-party tool like iMyFone D-Back iPhone Data Recovery that will help you easily recover the deleted contacts. As long as the contacts have not been overwritten, a good iPhone data recovery tool should help you recover the easily. 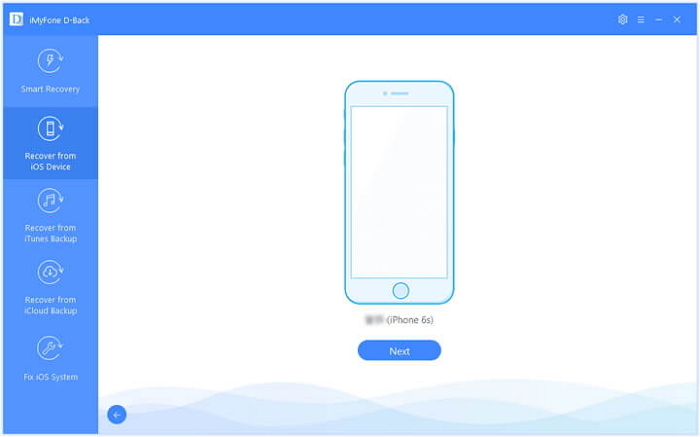 The following are the steps to recover the lost contacts from iPhone without backup. Step 1: Download and install the program on your computer. Launch it when the installation is finished. Step 2: Choose the "Recover from iOS Device" mode from the tab and connect your iPhone to the computer. Step 3: Select the file you want to recover. Once that is done, you will have to scan the device. Depending on how much content was stored on the device, this might take a bit of time. Wait until the process is complete. Step 4: The final step requires you to check out the results and preview which contacts you want to recover. Then all you have to do is to press the Recover button and wait until the process is complete. Wait until the contacts are restored before attempting to edit them. If you change them during the process, the changes may not be saved. If you have a recent iTunes or iCloud backup of the data on your device, you may restore the contacts from either one of those backups. The problem is simply restoring an iTunes or iCloud backup will often replace the data already on the device and there is also no way you can selectively restore only contacts. 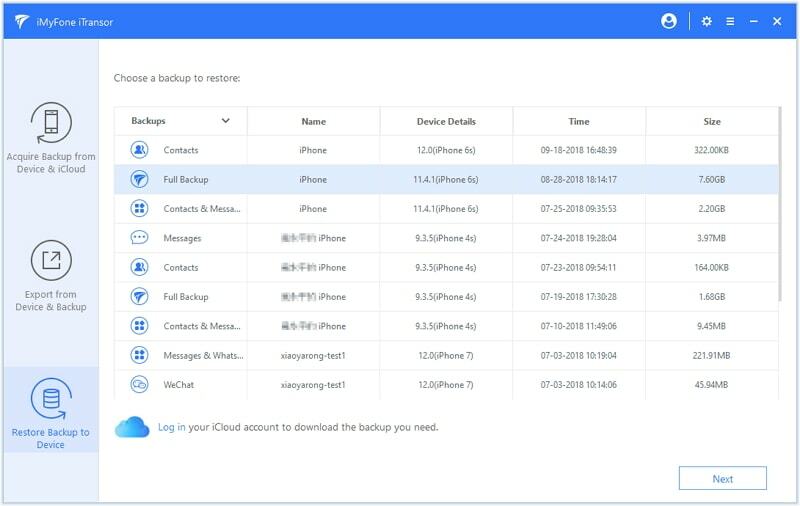 The good news is, there is a third-party backup and restore tool names iMyFone iTransor that will allow you to “look inside” the iCloud or iTunes backup and selectively restore only the contacts you need. 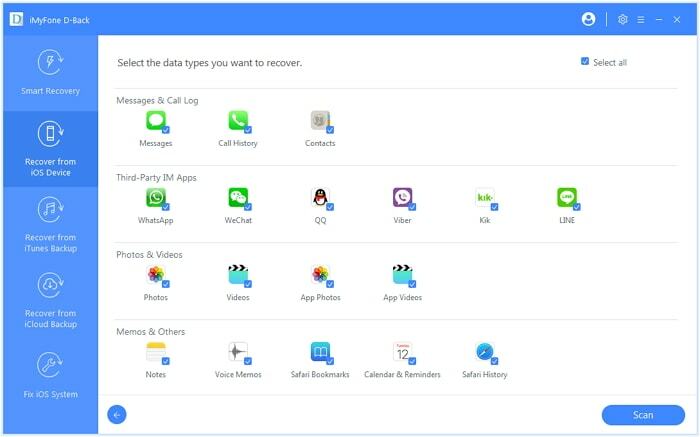 It also allows you to create a contact backup to avoid data loss in future. Here are the steps to restore only contacts from your backup file. Step 1: Download and install iTransor on your computer. Launch the program after you have finished the installation. Step 2: From the “Restore Backup to Device”Tab, choose an iTunes backup or iCloud backup you downloaded using iTransor. Step 3: Then choose "Restore Partial Backup" and select contacts as the type of data you want to restore. Make sure that your device is connected. Step 4: You can choose either “Preview & Restore” or “Directly Restore”. 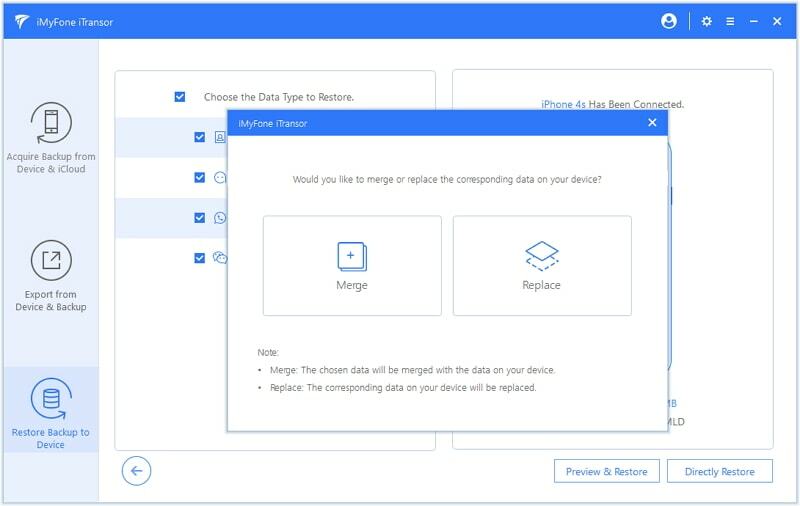 iTransor also allows you to “Merge” or “Replace” the contacts from backup with the ones on the device.